You know how parents think their kid’s first step was the most impressive first step in the history of the world, or that no other child could possibly be as clever? Apparently these love-goggles are not unique to parents. Researchers say they were “completely surprised” to discover that the brilliant behavior of a star subject—a clever crow named Betty—was pretty normal in the wild. They published their report in the journal Royal Society Open Science. Birds, especially crows, are smarter than we like to admit, but New Caledonian crows (Corvus moneduloides) take it to the next level. These birds have been using tools for so long that their beaks have evolved to make tool-handling easier. They select the best sticks and leaves, trim them neatly with their beaks, and even put them away carefully when they’re finished. They’re totally on top of this twig thing. 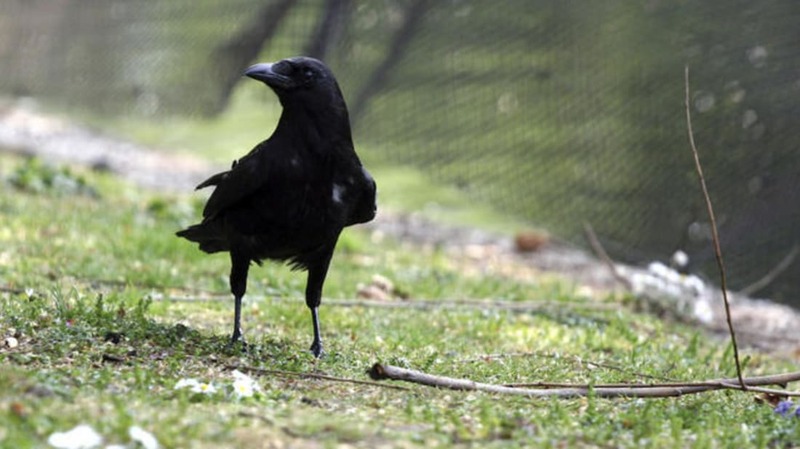 Even so, researchers were boggled in 2002 when they saw Betty, a wild-caught crow, pick up a length of wire in the lab and bend it into a hook shape in order to fish a food bucket out of a tube. The bird had seemingly spontaneously invented a new method of tool production. In bending that wire, the authors wrote, Betty demonstrated an extraordinary knowledge of causality and “folk physics” to an extent never before seen in a non-human animal. But just because we hadn’t seen it doesn’t mean it wasn’t happening. Biologist Christian Rutz and his colleagues at the University of St. Andrews have been studying wild New Caledonian crows for the last four years. They brought 18 crows into large temporary enclosures and gave them puzzles that could only be solved with tools. To the researchers’ great surprise, 10 out of the 18 crows bent their twigs into hooks without giving it a second thought. And they didn't do it just once: This group produced 85 hooks in all. It turns out that Betty, who died in 2005, wasn't such a genius after all. The scientists realized that, in addition to selecting twigs for shape and size, the birds were looking for pliability. Not just any stick would do.